STATS DAD: Youth Sports: Are Pick Up Games Extinct? In a well written post Who Owns Youth Sports? writer Doug Abrams explores how adults have changed youth sports over the decades and the reasons why. It's an insightful read. The post suggests that youth sports should be returned to its rightful owners - the youth - they know best how to manage it. Until a few decades ago, children in communities all across America generally conducted their own games without adult involvement. 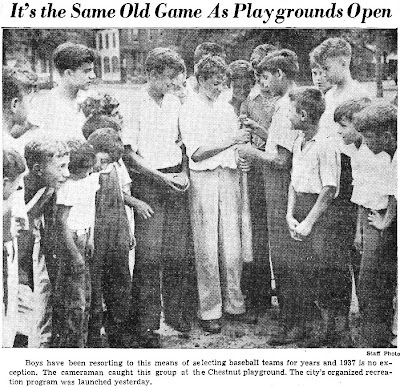 When youngsters wanted to play, they rounded up their friends and headed for the local playground or sandlot. They chose sides and perhaps rearranged the teams midway through the game to correct imbalance. They adjusted the rules to suit the circumstances, officiated the game, worked out their disputes, and then went home when everyone got tired or the sun went down. The youngsters accomplished all this (and more) by themselves, without adults on hand to choreograph the games. Did the over organization of youth sports kill this dynamic or is there something else at play? Today, children in communities all across America still conduct their own games without adult involvement. When youngsters want to play, they rounded up their friends on XBOX LIVE. They chose sides in Madden Football 12, NBA 2K12 or MLB11 and perhaps rearrange the teams midway through the game to correct imbalances. They adjust the rules to suit the circumstances, officiate the game, work out their disputes, and then turn off the TV when everyone get tired or the sun comes up. The youngsters accomplished all this (and more) by themselves, without adults on hand to choreograph the games. Doug Abrams argues that adults have over organized youth sports to the point where kids do not take the initiative to assemble on their own to play sports. He outlines several socioecomonic factors including hectic demands of dual income and single parent families. My question to Doug, "How many kids would play sports at all with all of the electronic distractions that exist in the world today if adults did not organize youth sports?" My dad talks of the idyllic 50's and 60's when kids would assemble to play pick up games. I grew up in the 70's when the total number of games in any youth league season was 15 games max and no travel was required. We played touch football, stickball, street hockey and basketball all the time. I could never assemble enough kids for two full teams, but I could always find 3 to 8 diehard sports kids to compete against. Life is not really that different for my sports addicted kids who have played in 200 "adult organized" games combined this year to date, they still gather a couple of kids to play knockout (Basketball), golf, touch football or kickball when time allows. Sadly, due to electronic distractions, I think very few kids of this generation would show the initiative to get out and play on a consistent basis without organized sports. What do you think? 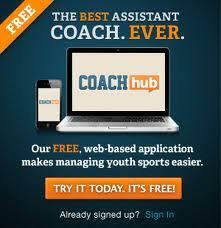 AskCoachWolfe.com is a comprehensive website dedicated to today's sports parenting issues. This site always has content that makes me think. Part of the issue that we see in our community is a lack of available space to play outside. There are PLENTY of fields but you have to book them in advance, have a permit, be part of an organized sports association, have an adult present or some other stipulation to use them. You can't just go down to the neighborhood park (if your over-protective parent would let you) and play a game of soccer or baseball. Hard to have a pick up game without a place to play. P&G's Family Movie Night initiative has some exciting news that may be of interest to you and your readers. Would you be interested in finding out more? I play in an adult softball league that chooses sides and plays by old time pick up rules. Its nice and reminds me of playing in old parking lots and parks with friends and random kids from the neighborhood. Its sad that my kids will never really experience those kinds of games.